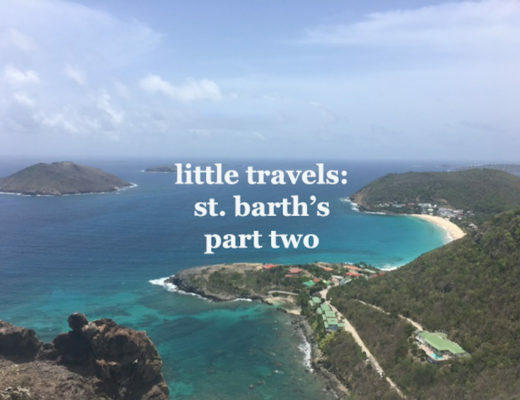 Little Travels: St. Barth's | ya, we're basic. 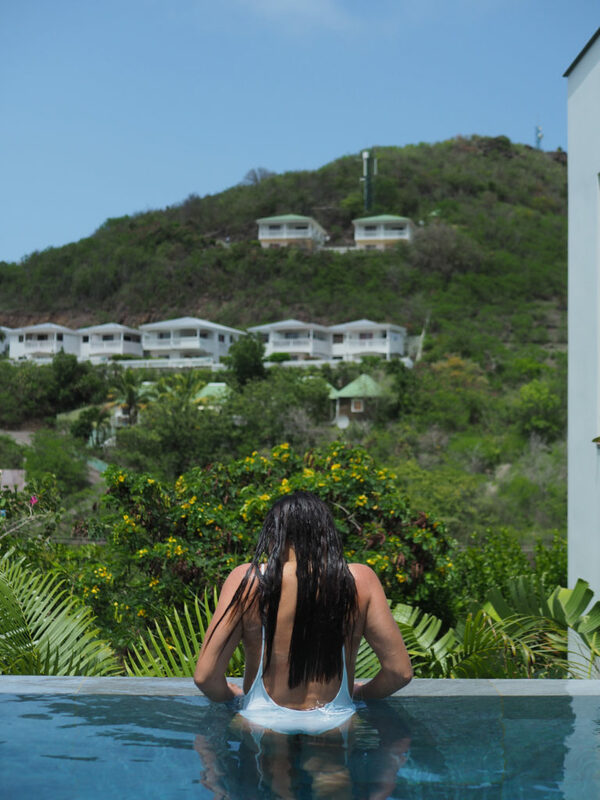 St. Barth’s was one of the most magical places I’ve had the pleasure of visiting. From the welcoming people to the incredible weather, it was pure magic. But we do have to start somewhere and so today I’ll be discussing getting there, how to prep and where to stay. So you have to fly in to St. Maarten as a means of getting in to St. Barth’s. There are some pretty routine direct flights from the Toronto airport and I know this the same with New York. They are roughly five hours. (West Coast, I’m not so sure. But if you want me to find out, I definitely can). In our experience when we got in to St. Maarten we stay a couple nights to check out the island and explore. I’d love to go back and experience St. Maarten in all of it’s entirety but for today’s post we will get back to what happens once you’re ready to go! There are two ways to get to St. Barth’s from St. Maarten: fly or ferry. Fly – This flight is no joke the scariest thing I’ve ever experienced in my life. Mind you, I hate flying…but as a way of facing my fears, I took the flight to St. Barth’s one way. We used this company here and it was really smooth getting checked in and secure for the flight. If you’re checking a bag, you have to go through security just as you would with any other airport. Each passenger is allowed 20 kg (44 lbs) for checked baggage. FYI standard airlines have a higher luggage allowance so be mindful. Each passenger is allowed 10 kg (22 lbs) for carry-on baggage. Once you’re on the plane the flight is anywhere between 9-15 minutes. It is super short THANK GOD but despite the swiftness be ready for the scariest moment of your life when preparing for landing. The plane begins to descend and it feels as if you’re suspended in the air and are going down. It is actually terrifying but these pilots know what they’re doing so just take deep breaths and know that soon you’ll be in one of the most beautiful places in the world. Ferry – The ferry is a little less scary though I heard on the way to St. Barth’s the water is quite choppy and you can get very sea sick. I took the ferry on the way home and had a relatively smooth experience. It is longer – you’re looking at 45 minutes – plus the time that you have to wait outside in the heat to board the ferry. We took this ferry here and it was easy peasy. The staff was excellent and there is space indoors, below deck (shaded) and above deck which is fully exposed with sun. I think all-in-all I would actually take the flight since it’s so quick but I might need to consider taking some medication prior HA! But it was pretty cool to experience first hand so even if you’re not a fab flyer like me, I’d say man up and try it at least once. Since we were staying in a villa, we decided to pack a few essentials with us since we heard the island can be expensive. We packed coffee grinds, some pasta, apple cider vinegar, snacks (chips, crackers, protein bars) and simple stuff to eat for breakfast, like packaged oatmeal. You can also pick up alcohol at the Duty Free but keep in mind once you’ve packed and purchased you’re carrying that stuff to and from your flight and destinations. 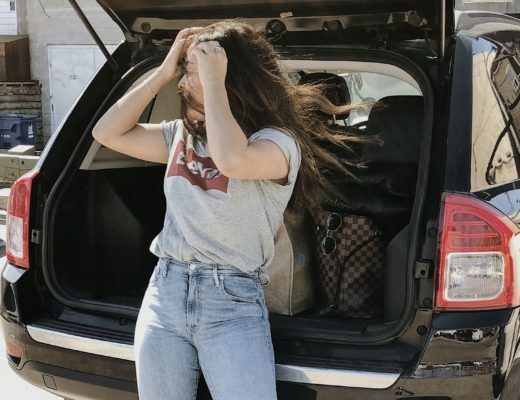 It was a bit of a headache to prep but was honestly so helpful once we finally arrived. Once you’re on the island it’s best to stock up on produce, alcohol and essentials you can’t travel with i.e. bottled water. I actually didn’t find the island to be super expensive and the alcohol wasn’t overpriced either (though I’m assuming alcohol prices in Canada are higher than the average US price). We did a large haul right when we arrived here and they had an excellent selection of fresh fruits, vegetables and frozen fishes. The wine selection (aka rosé selection) was spectacular, so I’d definitely recommend doing a big shop straight from the airport. Mid-week we picked up more snacks and beers here and it was a quick-mart type stop but also had fresh meat and fruits/veggies. 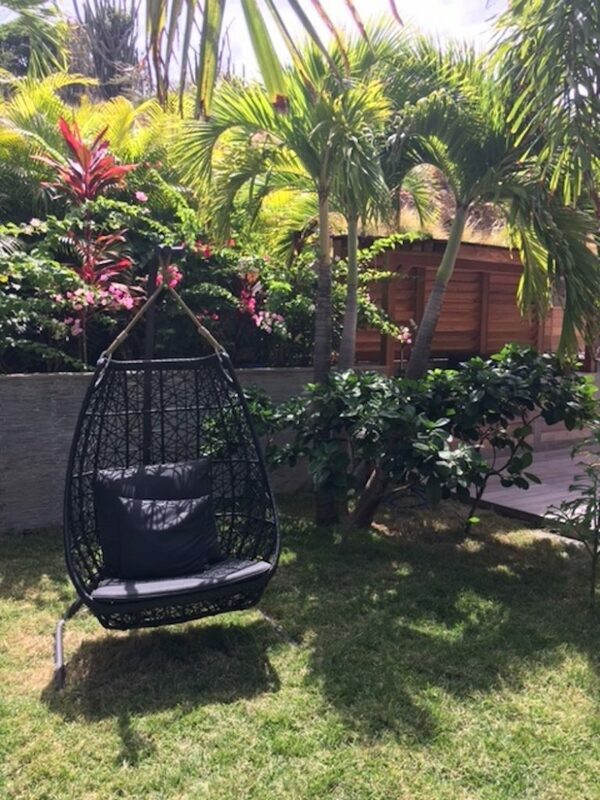 If you can swing having your own food, it’ll help cut down costs immensely and trust me, it was fun having breakfast on hand and snacks but especially b o o z e at the villa at all times. 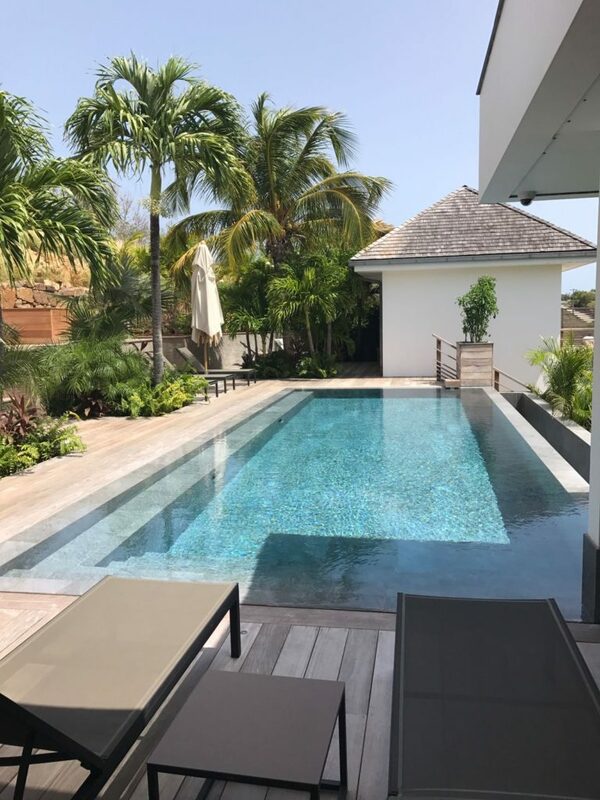 Ok, so I am totally being biased here (and this is not sponsored so no we didn’t stay for free) but I have to recommend Villa Seven which we found through the site Luxury Retreats. The accommodations were spectacular – we were a group of 12 and we each stay two to a room and each had more than enough closet space, en suite bathrooms and balconies or walkouts with a gorgeous view. The entire space was unbelievable. The kitchen and living room areas were more than enough and with 12 people, we never felt like we were piling on top of one another. There was also a gym that was fully stocked with cardio equipment and a weight machine which made it easy to commit to workouts. But our favorite place in the villa had to the outdoor dining space and the infinity pool. We spent most of our time here and it was such a blast. 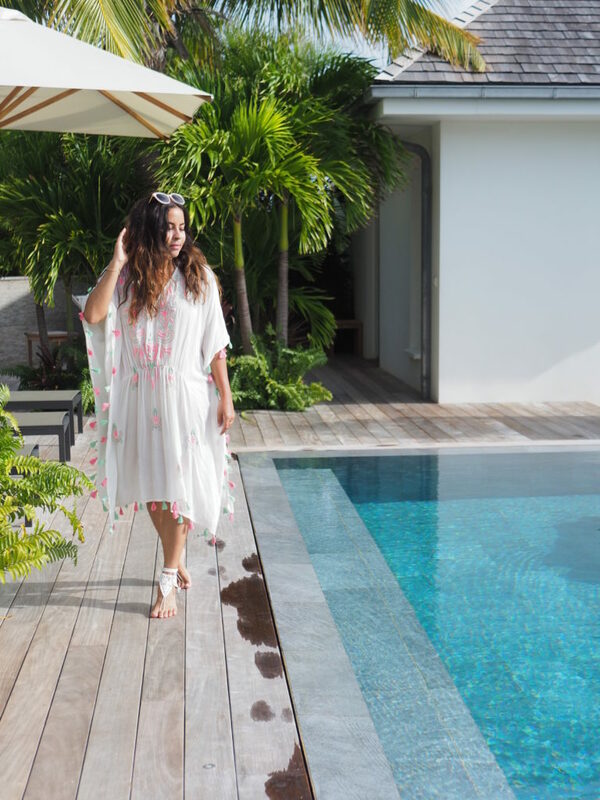 The villa was equiped with a Sonos sound system so we could listen to music, eat + drink and cool off in the salt water pool any time we returned from a busy day or beach club. That’ll wrap up Part One of my travel guide. Next up I’ll be talking about what to do while you’re on the island and then finally, where to eat and go out in part three. 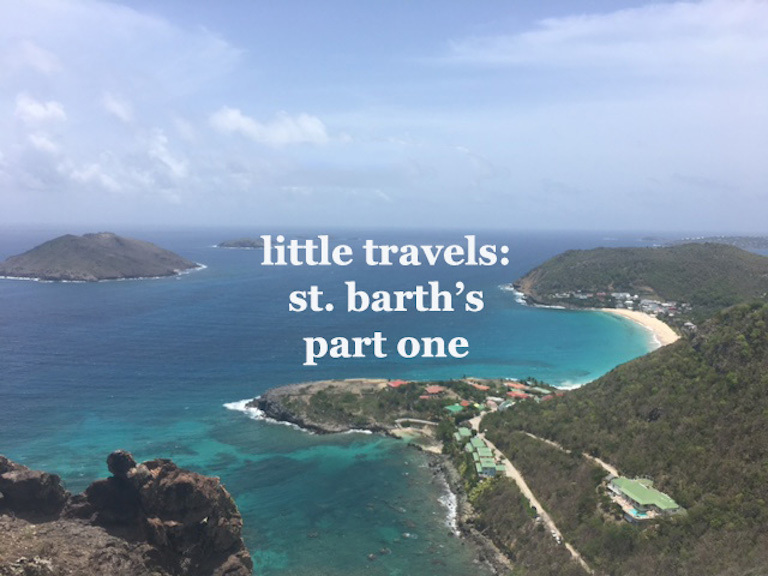 little travels: st. barth's part three | i'm a little.